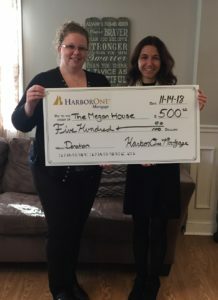 Residents of Megan’s House & Erin’s House received an early holiday gift, as representatives from HarborOne Mortgage paid a visit to support their recovery. 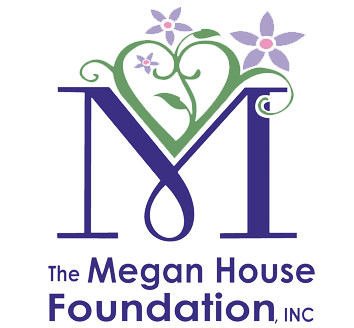 HarborOne Mortgage, a leader in residential mortgage lending throughout the Northeast, joins the growing list of organizations helping young women in recovery through the Megan House Foundation. Anita Wolcott, the company’s Community Outreach Coordinator, toured Megan’s House today as she presented a $500 check. Wolcott also pledged to make Christmas stockings and stuff them for the residents during the upcoming holiday season. The Megan House Foundation is grateful to HarborOne Mortgage and their staff for helping spread awareness of the vital work being done to combat the addiction crisis and for supporting our mission. As we like to say, together we make a difference!